As a fan of the Utah Jazz, I am biased when I say this: Jerry Sloan is the most underrated coach of all time (if you can think of someone else, please comment below). Sloan celebrated his 70th birthday this past Wednesday. Although he probably didn’t “celebrate.” Coach really never celebrated anything. I think that’s what I most liked about him. He was old school. Sloan probably got the most excited when all Jazz fans did. The evening John Stockton buried a three point basket at the buzzer to beat the Houston Rockets in Game #6 of the Western Conference Finals to give Utah their 1st ever trip to the NBA Finals in 1997 (I still have that game on VHS—-yeah I am crazy). Sloan became the Head Coach of the Jazz on December 9th, 1988. Which happened to be the day after my 18th birthday. He would coach the team until February 11th, 2011. Incredible. Coach Sloan was the longest tenured coach in professional sports (now Andy Reid of the Philadelphia Eagles-1999). He never won a Coach Of The Year Award. Despite winning the 3rd most games in NBA history (1,221). 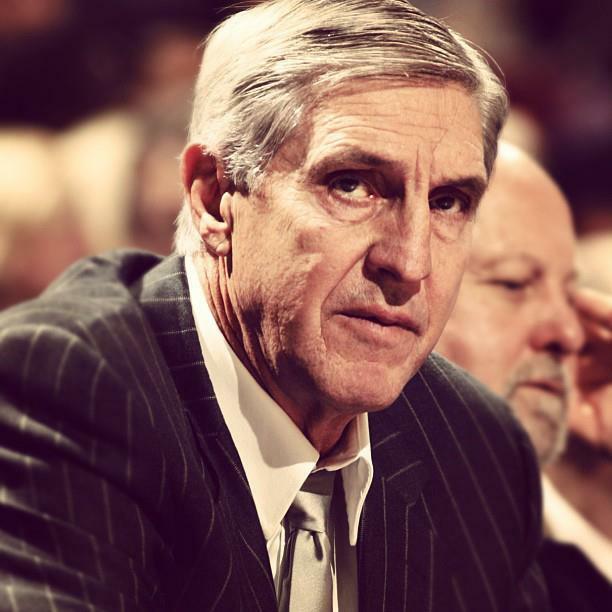 Only (former Iowa Hawkeye) Don Nelson (1,335) and Lenny Wilkins (1,332) finished with more wins than Jerry Sloan. An elusive championship is the one thing that keeps him from being considered one of the greatest coaches of all time. Back in the heyday of the Jazz, Malone and Stockton were mainstays. The beauty of Coach Sloan was his ability to keep everything the same. Utah ran the pick and roll offense for the 22 plus years he sat on the bench. The opponents would know what was coming, and they still couldn’t stop it. The Jazz also won 50 plus games consistantly and made the playoffs virtually every year (19 times).